Pompano Beach Real Estate between the intracoastal and the beach has seen many new projects over the last ten years as plans for the revitalization of the beach area shopping distict took hold. With the contruction near the beach in full gear, luxury property in close proximity to the beach is in high demand. Aquamarine is located just off the intracoastal waterway set back on A1A and offers spectacular views of both the Atlantic Ocean, Intracoastal waterway, and downtown Fort Lauderdale. 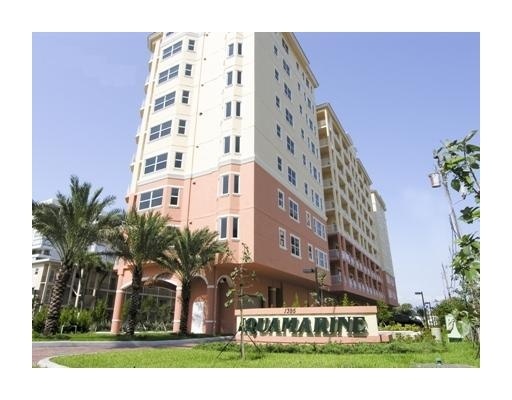 Aquamarine's residences a location close to the beach, boat activity and all Pompano Beach has to offer. The property has a beautiful pool, and each home offers large balconies to enjoy the beauty of the Pompano Beach area. Fort Lauderdale Realtor Eric Miller and the team at Eric Miller and Associates, are always here to help you buy or sell Pompano Beach Condominiums. They are ready to show the beautiful homes of Aquamarine and provide complete acess to the Fort lauderdale MLS and all Pompano Beach Condos for Sale. You can Contact us directly at (954) 383-8170.